The October Bulletin is here! Enjoy the October 2018 Bulletin. We have a lot of great events coming up! Looking forward to seeing you! Check out our latest bulletin for June 2016! Click to read the Beth Mordecai Bulletin from May 2016! 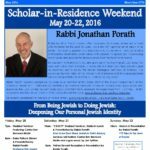 Beth Mordecai March 2016 events include... Yom Hashoah Event, May 4 Scholar in Residence Weekend, May 20-22 Veterans' Home Visits Torah, Talk, Pardon the Interruption, and much more! Keep up-to-date with all Beth Mordecai Perth Amboy events by liking our Facebook page. Click to read the Beth Mordecai Bulletin from March 2016! Beth Mordecai March 2016 events include... Mordy's Brunch Hour, March 13, feat. Rabbi Gerald Zelizer Purim Celebration, March 23 YJPA's young adult (22-~40) Boozy Brunch, March 20 ... and way more! Keep up-to-date with all Beth Mordecai Perth Amboy events by liking our Facebook page. Extra, Extra Read All About Beth Mordecai! Extra, Extra! Get this month's Bulletin featuring... 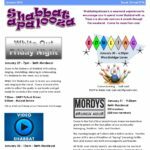 Rabbi's article on Hanukkah Elliot's poem on the "night before Hanukkah" Advertisements for our Hanukkah Party, VIRTUAL Hanukkah Lighting, Chinese Dinner and a Movie, Ask the Rabbi, Faithful Families, Shabbat programs, and much more! PLUS...yahrtzeits, anniversaries, birthdays, and other celebrations! Click here to access the bulletin! 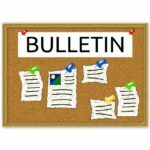 THIS MONTH'S BULLETIN: Click below to read the LATEST month's bulletin... 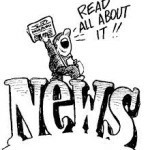 This month: September, 2015 Click here to read bulletins from previous months!